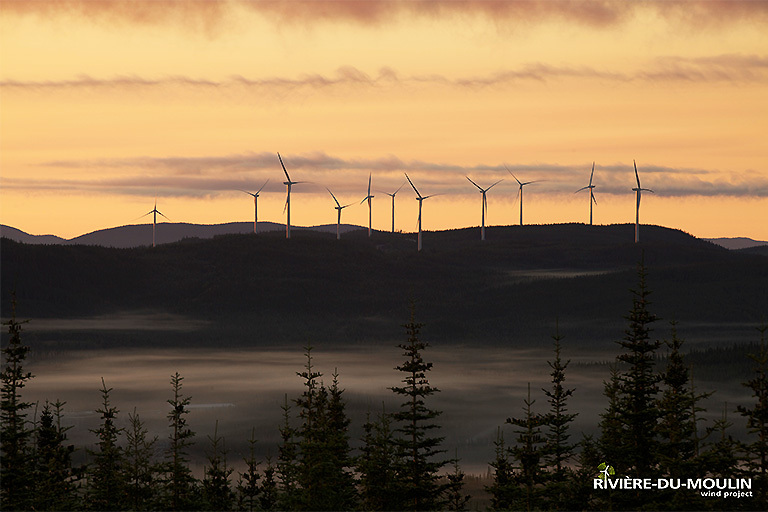 The Rivière-du-Moulin Wind Farm is located in the unorganized territory (UT) Lac Pikauba in the MRC de Charlevoix and the UT of Lac Ministuk in the MRC du Fjord du Saguenay. The project area is located entirely on public lands. 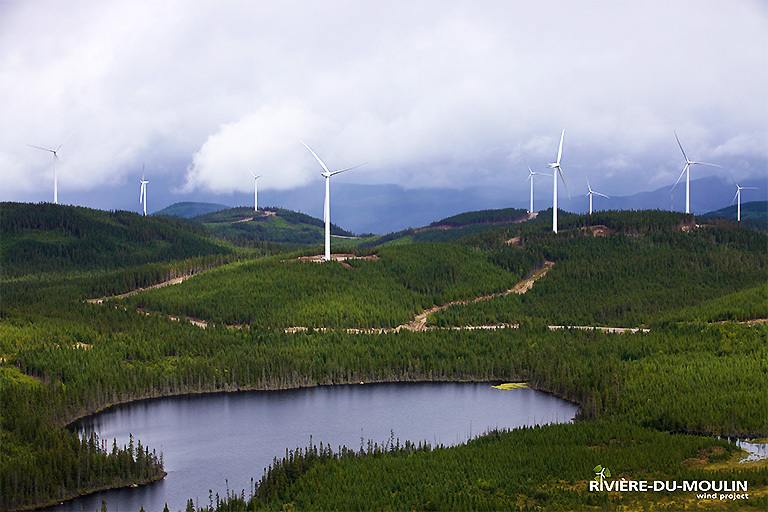 The 350 MW wind farm is the largest in Canada. Investments related to the wind project are estimated at $800 million. Approximately 565 jobs were created in the region during the peak of construction phase. During the operations phase, about 20 permanent jobs were created to ensure the operation and maintenance of the project. 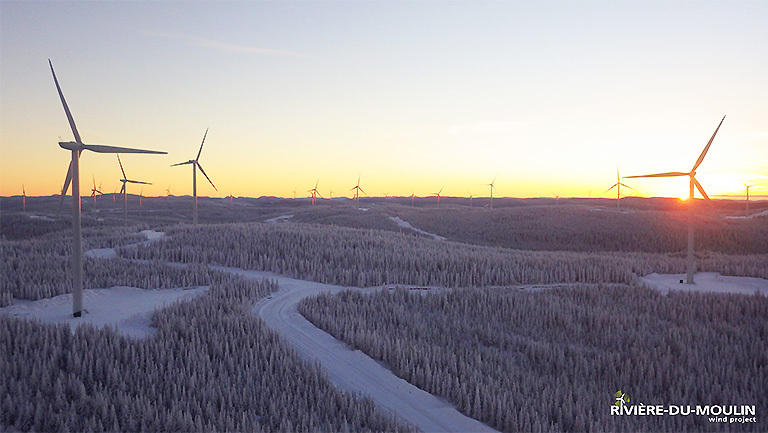 The wind farm was developed in 2 phases: the first tranche of 150 MW was commissioned December 2014. The second tranche of 200 MW was commissioned December 2015. The project comprises a total of 175 turbines with a nameplate capacity of 2 MW each.